Griff has taught creative dance since 1972. She was a member of Barbara Mettler’s professional groups and served as Mettler’s teaching assistant in the late 1970s & early 1980s. She led her own performance groups from 2009- 2013 with support from Mettler Studios in order to explore the relationship between creative process and performance. Griff is an adjunct professor at Hampshire College in Amherst, Massachusetts. 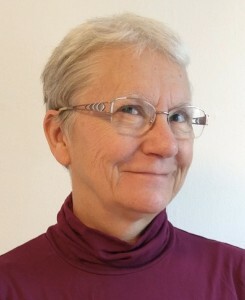 She co-teaches Mettler Studios’ Teacher Training Workshops with Mary Ann Brehm.